Content Search is a ‘quick and easy’ way to search across all index fields and readable content of documents from a single location (see video). Customize your search screen. If you normally search by just 2 or 3 indexes, you can deselect the index fields that are not important to you to hide indexes as you wish. These settings will persist when you log out and log back in (see video). 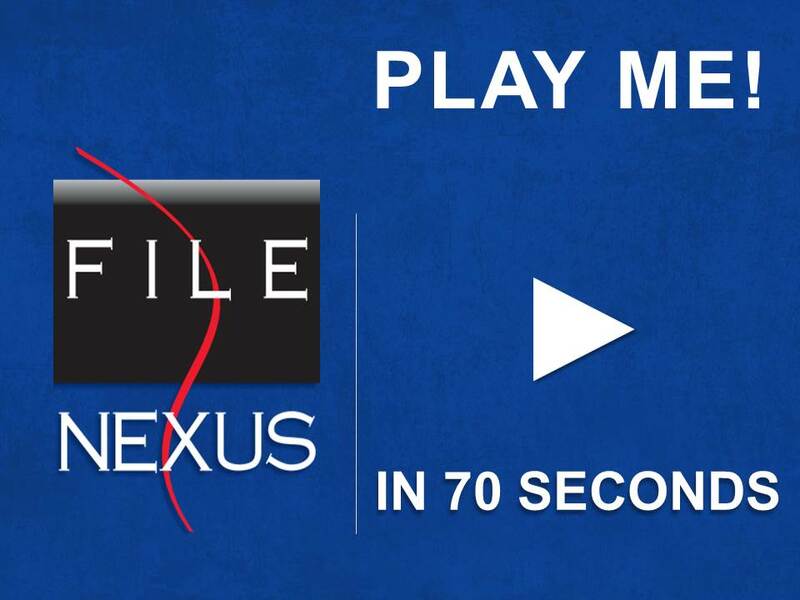 Download multiple documents from FileNexus in a ZIP file. You can now export a batch of documents (instead of one at a time) to a ZIP file for easy email and distribution. Advanced search capabilities. * You can now create more complicated searches by combining the AND/OR operators with full text and index searches to enhance your document search results. *Previously only available in the windows client. Download search results as a CSV file. Simply download all index data for your selected search results into a single file, so that you can use the information for additional analysis and reconciliation. Customized file names for downloaded files. FileNexus® administrators can setup customized file naming conventions based on such things as class info, index info and text. Users will be able to easily identify their documents and will not have to manually rename them prior to emailing, saving, etc. Search the contents of your scanned documents. FileNexus® can index the contents of scanned documents through optical character recognition (OCR**) with Microsoft’s TIFF iFilter. With the contents of scanned documents fully indexed and searchable, FileNexus® provides you with even more robust search capability. **OCR is the mechanical or electronic conversion of scanned images of handwritten, typewritten or printed text into machine-encoded text. Scanned printed texts are digitized so that they can be electronically searched. The ability to search on image content will vary depending on the image quality of the original image document. To upgrade FileNexus® to version 6.8, contact Loris Technical Support at support@loristech.com or call 416-252-4701 and press “3”. This entry was posted in Document Management, Product Feature, Uncategorized, upgrade by admin. Bookmark the permalink.